This book serves as eye-opener to many people who do not know, and refuses to know the history of politics. 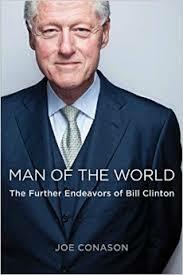 The book, Man of the World: The further Endeavors of Bill Clinton says a lot about his desired plans and future upbringing of the economy of the USA also his life right after presidency. It is popular around USA about his stepping down from the power because of uncontrolled controversies. Yet, with Bill Clinton being the President, it can't be denied that he had done more than what the media says, and this book is the legit proof of them all. It is always expected from media to turn stories the way they want and if anyone is hungry for knowledge about what he had really done for this great country, it is far more recommended to get this book, sit with it and absorb every reality-slapping truth. One of Bill Clinton's best move was his devotion to wide assistance of healthcare, maintaining peace and erasing conflicts, and solving unresolved issues within his constituents. Despite of his flaws, there comes achievements that shouts behind his back that let people hear and see the truth during his reign. This book is indeed very detailed and professionally conversed, from the opening of the book up until the end. The book literally will help you understand the man behind every controversy being thrown at him. This somehow opens the deepest life and perspective of former President Bill Clinton. The book does not simply state about the successful years of Bill Clinton, but also speaks the whole truth about the things that are seemed covered up by the mainstream media. 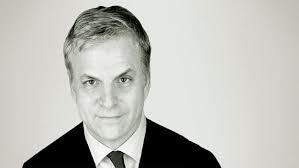 A very well researched piece, truth-based masterpiece by Joe Conason who spent more of his time just to deliver the honest details to the public. However, the author just don't simply stated the overwhelming things Bill Clinton had done, but also tackled about different issues the former president had faced including the statements of the people involved. The author had also given his own perspective through defining and going through much more detailed events and statements for further understanding of the situations or events. The author had reached the most unique diversity of storytelling and that catched my attention as a reader. Once you start reading this book, you can no longer lift your eyes and will feel like hungry for more details about this prestigious man. Joe Conason's journalism is beyond excellent. The book do not tell whether it is pro or an anti, rather it just tells the story of a human being who was once devoted to serve his people, a human being who committed a foul as well, a human being who was far perfect but has the will to give his best shot for the people. You will learn a lot from this book as much as I have learned from it as well. Bill Clinton, the man that could be one of the best presidents USA has ever had.